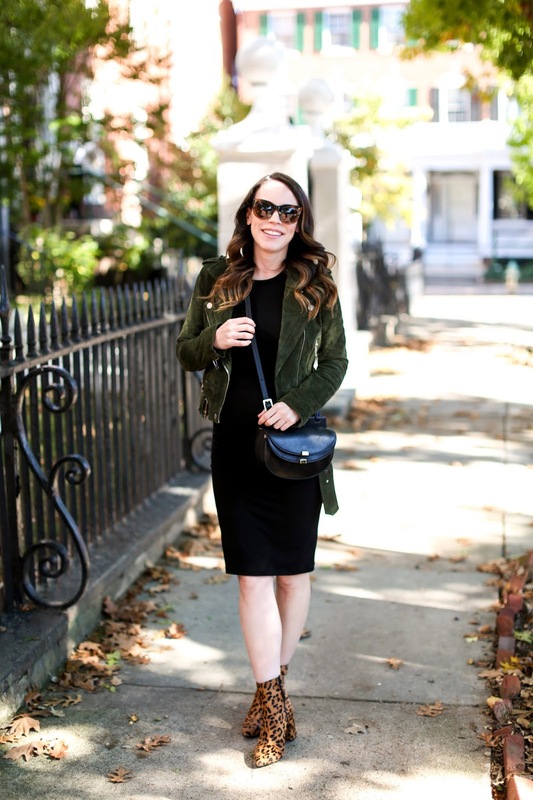 I'm all about having classic and/or timeless pieces in my wardrobe, and that definitely extends to pregnancy and ultimately maternity clothes. 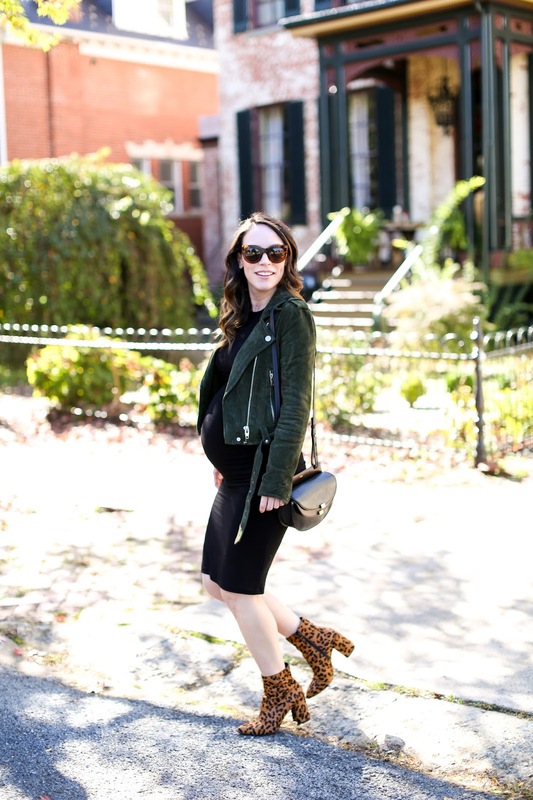 While there are tons of maternity options out these days as opposed to years ago, a simple stretchy black dress like this one is a lifesaver. 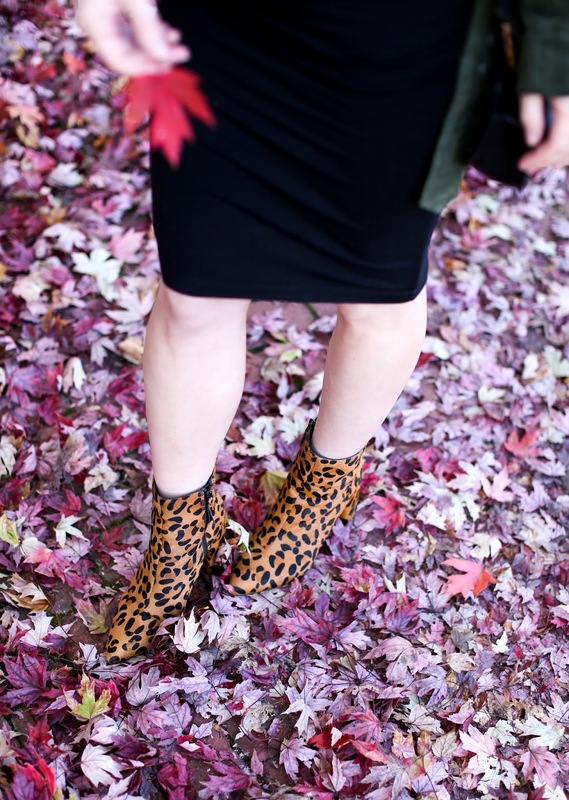 It's comfortable and flattering, but also so easy to create outfits around. For this particular day, I paired it with a moto jacket and boots, but I have already worn it running errands in a long sweater and sneakers, out to dinner with heels and a clutch, with a denim jacket and wedges when we had a recent warm spell - frankly it's a great maternity piece to invest in while pregnant. I also love the turtleneck version or short sleeved version as well. Some of my other favorite key maternity items to definitely purchase are jeans (this post shares info about my two favorite pairs), stretchy tees (I like the fit of these the most), comfortable tanks (these aren't maternity but work perfectly with a bump of any size - I have already purchased 5 pairs of them), leggings and some nice cardigans to mix and match with all these options. Obviously there are numerous maternity items to possibly get during pregnancy, but these pieces can all be worn over and over and combined with various accessories to create a ton of different looks.